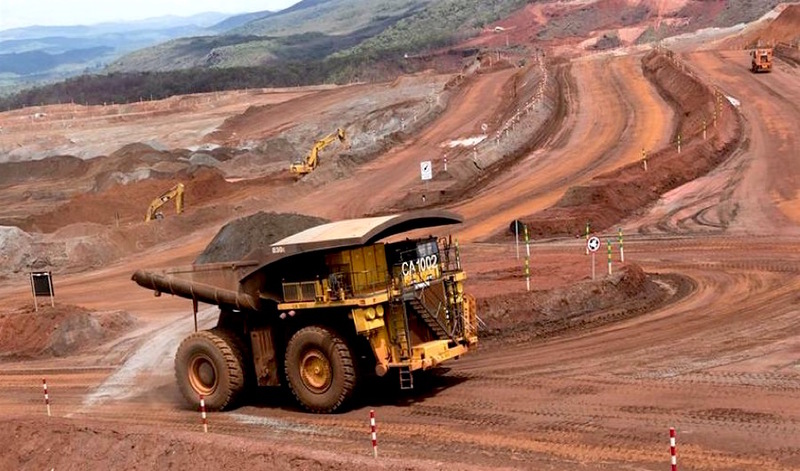 Global miner Anglo American (LON:AAL) has resumed operations at its giant Minas Rio iron ore mine in Brazil after eight months of closure following the discovery of a leak in a pipeline that carries ore to a port in Rio de Janeiro for export. As a result of the outage at its biggest development project, the company said on Friday it expected to record a loss of $320 million, which is at the lower end of the range Anglo previously guided of $300-400 million. The company said it had replaced 4km of pipeline where two leaks had occurred as well as other sections of the pipe, which carries the steelmaking ingredient, in slurry form, to a port 529km away. It also said it had shortened the intervals for future inspections to two years from five years, and fitted a monitoring system to critical sections of the link. Two pipeline leaks forced Anglo to halt operations at Minas Rio mine in March, which will come at a cost of $320 million in losses. “The majority of our employees have been deployed across our operations in Brazil during this year, including on the construction work required to secure our Step 3 operating licence for Minas-Rio, and safety and other refresher training has been under way since early November in preparation for the restart,” chief executive Mark Cutifani said in the statement. Providing it receives a further permit by mid-2019, Anglo said it expects production at Minas-Rio to ramp up to 1.2 million tonnes of iron ore per month and to produce 16-19 million tonnes of iron ore next year. The world's number four diversified miner bought the iron ore project in Southeaster, Brazil during the commodity prices boom of 2007-2008, paying local ex-billionaire Eike Batista $5.5 billion for it. Anglo then spent another $8.4 billion, more than twice what was originally projected, to bring Minas Rio into production in 2014. The deal soon soured, as rising global iron ore output overwhelmed demand, causing prices to tumble 80% from their 2011 peak. The miner also saw itself forced to write down the value of the asset by about $4bn, underscoring how the group mistimed its entry into the iron ore sector. And while prices recovered in 2016 (they climbed 81%), the extreme volatility for most of the year brought into question whether Anglo’s costly bet for iron ore would or would not eventually pay off. Shares in the company were trading 2.5% higher to 1,747p by 3:20 pm London time.